Angelo, Gordon & Co. bets on a Benihana turnaround amid a private equity restaurant feast. NEW YORK ( TheStreet) -- After placing orders for P.F. Chang's China Bistro ( PFCB and Morton's ( MRT - Get Report), private equity is returning to the dinner table through Angelo, Gordon & Co's $16.30 a share buyout of Benihana ( BNHN. For Angelo, Gordon & Co., the $296 million bet on Benihana comes after previous attempts by the restaurant chain to find an acquirer failed, and at an over-20% premium to Benihana's Monday close. A private equity take out of P.F. Chang's may be just what the restaurant chain needs to change its fortunes. In March, Miami-based Benihana said it had hired Jefferies ( JEFF to seek bids for the company after a similar process in 2010 ended without a credible buyout offer. Since then, Benihana has returned to profitability and its stock has nearly doubled. Tuesday's buyout offer is a bet on a continued turnaround at the company's specialty Japanese restaurants after a near death experience during the recession. Amid a string of loss making years during the recession, Benihana shares tumbled below $2, prompting it to eventually consider strategic alternatives such as an outright sale. However, after launching a sale process in July 2010 at the beckoning of shareholders, the company was unable to negotiate a deal for its 95 restaurants nationwide that include 62 Benihana-branded restaurants, eight Haru sushi restaurants and 25 RA Sushi restaurants. The company also has 16 franchised restaurants. 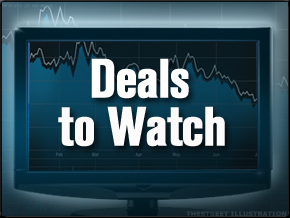 Tuesday's deal was struck at a 46% percent premium to its 30-day average closing share price on March 13, 2012, when the restaurant chain announced the hiring of Jefferies. Bloomberg estimated that a Benihana buyout would be the most expensive restaurant buyout since 2007, when Sun Capital bought Friendly Ice Cream Corp. Under the terms of the agreement, Benihana and its advisor Jefferies will actively solicit competing bids from third parties in the next 40 calendar days continuing through July 1. In Tuesday trading Benihana rose over 21% to $16.16, its highest level in roughly five years. That share surge was still below Angelo, Gordon & Co's offer price, though, signaling lukewarm expectations off a higher bidder in the coming month. "After evaluating the Company's strategic alternatives, we are pleased to reach agreement with Angelo, Gordon," said Benihana CEO Richard Stockinger in a release. "We believe that partnering with Angelo Gordon will help Benihana continue its track record of profitable growth, and we look forward to working with Richard and his team." Angelo, Gordon has $24 billion in assets under management and a focus on buying stakes in financial services, consumer and retail and healthcare companies. It is currently investing its fourth fund, taking controlling equity investments in deals ranging from $50 million to $500 million, the company said in a release. Centerbridge Partners' $1.1 billion bid for P.F. Chang's and the Benihana deal imply that private equity is keying on recognizable restaurants and what could be valuable real estate and leasing contracts. Benihana and P.F. Chang's may be smart investments based on classic private equity math: After trimming expense in recent years, both companies generate growing free cash flow, a key metric for buyout investors. In other Tuesday private equity news, The Blackstone Group ( BX - Get Report) said it was buying Motel 6 from French hotels giant Accor Group for $1.6 billion, in a bet on a turnaround at the brand's 1,100 low cost motels across North America. Blackstone will add Motel 6 to its portfolio of hotels that includes Hilton Hotels and some Four Seasons properties. Paris-based Accor, meanwhile, will focus on its ritzy Sofitel and Novotel in North America. For more on recent private equity buyouts, see why the Gores Group may slam the brakes on a $1 billion buyout of Pep Boys ( PBY.